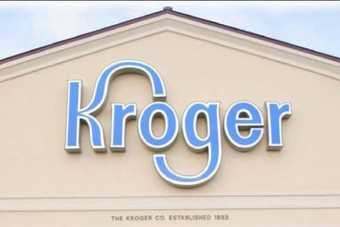 US retailer Kroger has booked an increase in first-quarter profit and upped its full-year earnings guidance. In the three months to 25 May, net profit climbed 9.6% to US$481m. Operating profit was up 2.8% to $879m, the retailer reported today (20 June). Total sales increased 3.4% to $30bn, while identical supermarket sales growth, without fuel, was 3.3%. "Kroger achieved strong sales and record earnings per share for the quarter, and our customers' positive view of us continues to improve," said CEO David Dillon. Based on the results, Kroger increased its net earnings guidance to a range of $2.73 to $2.80 per diluted share from its original guidance of $2.71 to $2.79. The retailer continues to expect identical supermarket sales growth, excluding fuel, of around 2.5% to 3.5%. "Kroger achieved strong sales and record earnings per share for the quarter, and our customers' positive view of us continues to improve," said David B. Dillon, Kroger's chairman and chief executive officer. "This is because of our continued focus on the Customer 1st strategy. Our first quarter results give us the confidence to raise our guidance for the year." Total sales increased 3.4% to $30.0 billion in the first quarter compared with $29.1 billion for the same period last year. Total sales, excluding fuel, increased 3.8% in the first quarter over the same period last year. Net earnings for the first quarter totaled $481 million, or $0.92 per diluted share. Net earnings for the first quarter last year were $439 million, or $0.78 per diluted share. FIFO gross margin was 20.65% of sales for the first quarter. Excluding retail fuel operations, FIFO gross margin decreased 15 basis points from the same period last year. The company recorded a $17 million LIFO charge during the quarter compared to a $46 million LIFO charge in the same quarter last year. Operating, general and administrative costs plus rent and depreciation, excluding retail fuel operations, declined 21 basis points as a percent of sales compared to the prior year. First quarter FIFO operating profit, excluding fuel, increased approximately $47 million over the prior year. Excluding fuel and the extra week in fiscal 2012, on a rolling four quarter basis, the company's FIFO operating margin increased 11 basis points. Kroger's strong financial position has allowed the company to return more than $1.3 billion to shareholders through share buybacks and dividends over the last four quarters. During the first quarter, Kroger repurchased 4.5 million common shares for a total investment of $146 million. Capital investment totaled $646 million for the first quarter, compared to $557 million for the same period last year. Return on invested capital on a rolling four quarter 52-week basis was 13.5% compared to 13.4% during the same period last year. Net total debt was $7.9 billion, an increase of $160 million from a year ago. On a rolling four quarter 52-week basis, Kroger's net total debt to adjusted EBITDA ratio was 1.85 compared to 1.91 during the same period last year. Based on the first quarter results, the company increased its net earnings guidance to a range of $2.73 to $2.80 per diluted share for fiscal 2013. The original guidance was $2.71 to $2.79 per diluted share. The company's long term growth rate guidance is 8 – 11%, plus a growing dividend. Kroger continues to expect identical supermarket sales growth, excluding fuel, of approximately 2.5% to 3.5% for fiscal year 2013. 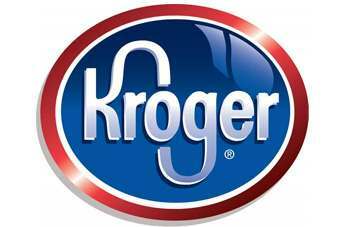 During fiscal 2013, Kroger plans to use cash flow from operations to maintain its current investment grade debt rating, repurchase shares, pay dividends to shareholders, and fund capital investments. The company continues to expect capital investments to be in the $2.1 to $2.4 billion range for the year. "The Kroger team's relentless focus on delivering on our Customer 1st strategy, quarter after quarter, continues to set us apart," Mr. Dillon said. "We will continue to build on this strong momentum to drive growth and greater shareholder value." Kroger, one of the world's largest retailers, employs 343,000 associates who serve customers in 2,419 supermarkets and multi-department stores in 31 states under two dozen local banner names including Kroger, City Market, Dillons, Jay C, Food 4 Less, Fred Meyer, Fry's, King Soopers, QFC, Ralphs and Smith's. The company also operates 784 convenience stores, 322 fine jewelry stores, 1,182 supermarket fuel centers and 37 food processing plants in the U.S. Recognized by Forbes as the most generous company in America, Kroger supports hunger relief, breast cancer awareness, the military and their families, and more than 30,000 schools and grassroots organizations. Kroger contributes food and funds equal to 200 million meals a year through more than 80 Feeding America food bank partners. 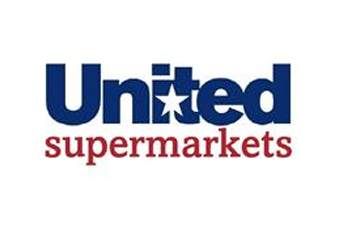 A leader in supplier diversity, Kroger is a proud member of the Billion Dollar Roundtable and the U.S. Hispanic Chamber's Million Dollar Club. Note: Fuel sales have historically had a low FIFO gross margin rate and OG&A rate as compared to corresponding rates on non-fuel sales. As a result Kroger discusses the changes in these rates excluding the effect of retail fuel operations. This press release contains certain forward-looking statements about the future performance of the company. These statements are based on management's assumptions and beliefs in light of the information currently available to it. These statements are indicated by words such as "expect," "guidance" and "plans." 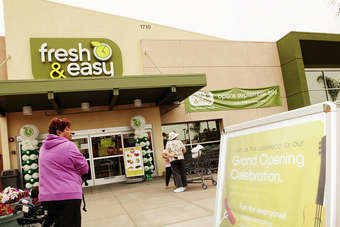 Our ability to achieve identical supermarket sales and earnings growth and earnings per share goals, as well as the timing that those earnings occur within the year, may be affected by: labor disputes, particularly as the company seeks to manage health care and pension costs; industry consolidation; pricing and promotional activities of existing and new competitors, including nontraditional competitors, the aggressiveness of competition, and our response to these activities; unexpected changes in product costs; the state of the economy, including interest rates and the inflationary and deflationary trends in certain commodities; the extent to which our customers exercise caution in their purchasing behavior in response to economic conditions as well as fuel and food prices; the number of shares outstanding; the success of our future growth plans; goodwill impairment; changes in government funded benefit programs; volatility in our fuel margins; the effect of fuel costs on consumer spending; the effect of prescription drugs going off patent on our sales and earnings; our expectations regarding our ability to obtain additional pharmacy sales from third party payors; and our ability to generate sales at desirable margins, as well as the success of our programs designed to increase our identical sales without fuel. In addition, any delays in opening new stores, failure to achieve tonnage growth as expected, or changes in the economic climate, could cause us to fall short of our sales and earnings targets. 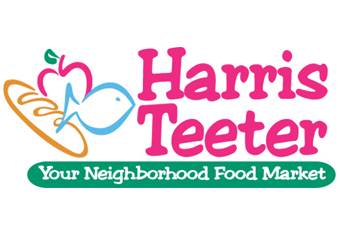 Our ability to increase identical supermarket sales also could be adversely affected by increased competition, and sales shifts to other stores that we operate, as well as increases in sales of our corporate brand products. Earnings and sales also may be affected by adverse weather conditions, particularly to the extent that adverse weather conditions and natural disasters disrupt our operations or those of our suppliers; create shortages in the availability or increases in the cost of products that we sell in our stores or materials and ingredients we use in our manufacturing facilities; or raise the cost of supplying energy to our various operations, including the cost of transportation; and the benefits that we receive from the consolidation of the UFCW pension plans. Our earnings per share results also will be affected by our ability to improve our operating results and our ability to repurchase shares under our repurchase program as expected. Our capital investments could vary from our expectations if we are unsuccessful in acquiring suitable sites for new stores; development costs vary from those budgeted; our logistics and technology or store projects are not completed on budget or within the time frame projected; or if current operating conditions fail to improve, or worsen. Our plans to use cash flow from operations to fund capital investments, repurchase shares, pay dividends to shareholders, and maintain our current debt rating will depend on our ability to generate free cash flow and otherwise to have cash on hand, which will be affected by all of the factors identified above, as well as the extent to which funds can be used for those reasons while maintaining our debt rating. We assume no obligation to update the information contained herein. Please refer to Kroger's reports and filings with the Securities and Exchange Commission for a further discussion of these risks and uncertainties. Note: Kroger's quarterly conference call with investors will be broadcast live online at 10 a.m. (ET) on June 20, 2013 at ir.kroger.com. An on-demand replay of the webcast will be available from approximately 1 p.m. (ET) Thursday, June 20 through Thursday, July 4, 2013.